Since today is Earth Day I want to share our recent “good for the environment” project. 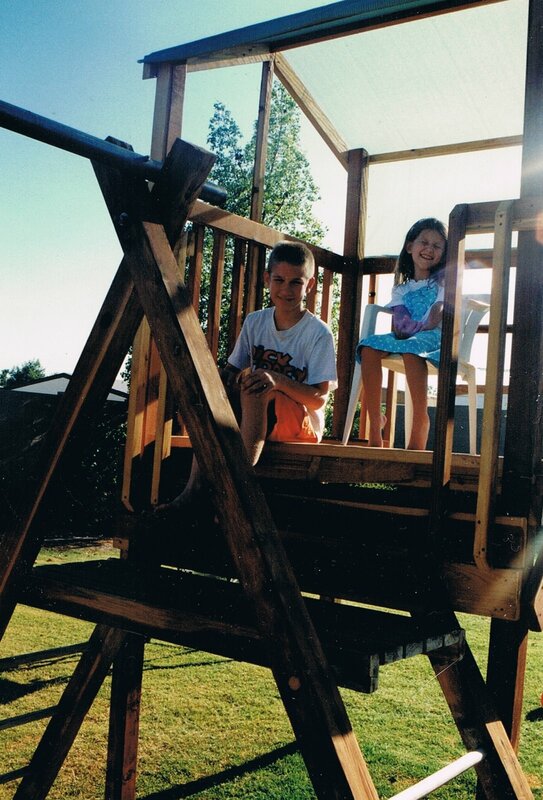 Followers may recall that a while back I was trying to convince Bob to dismantle the swing set. It had served a good purpose and the kids loved playing on it for many years. But time to move on. So Bob took it all apart and we discovered that the redwood was still in very good shape…even all these years later. What to do with it? 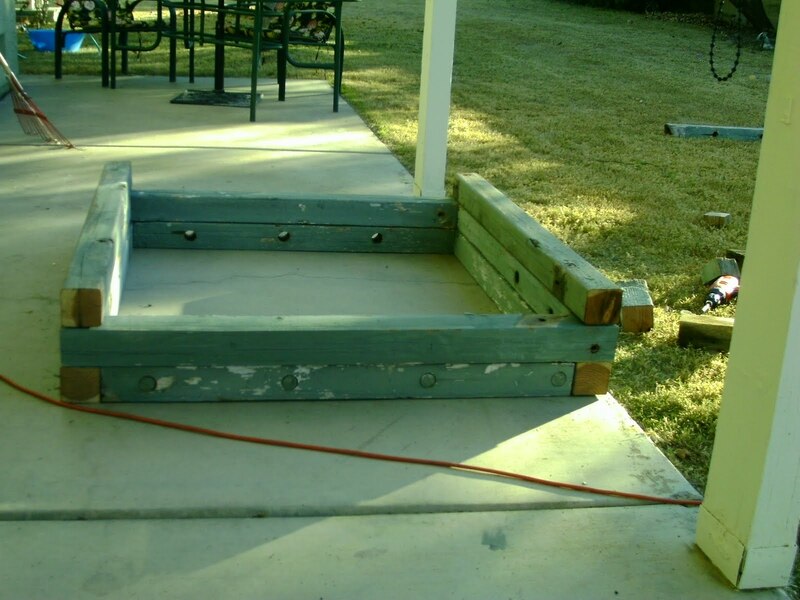 Watching those DIY (Do It Yourself) shows finally paid off and I convinced Bob that we could cut up the 4×4’s and make a raised bed garden. 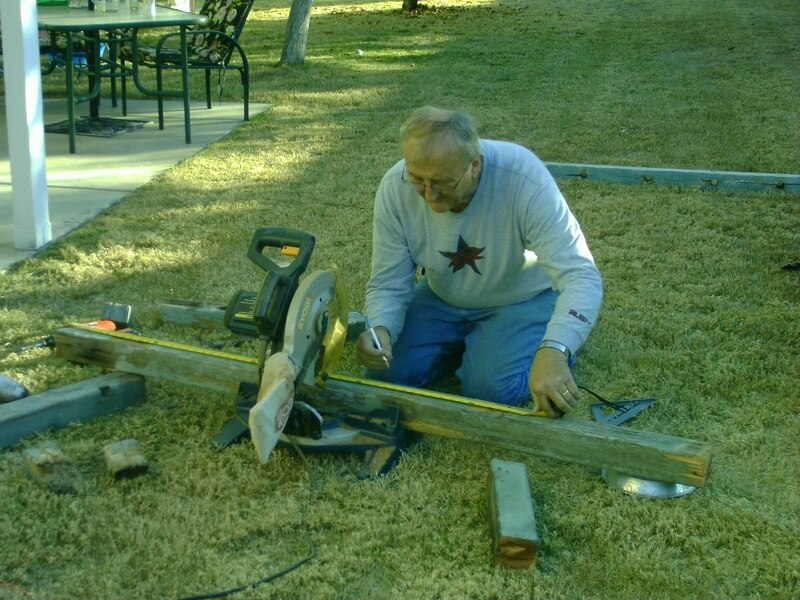 If you want details, like measurements and how it all fit together you’ll have to ask Bob. My job was to sand 20 years of green paint off the boards after they were cut. In any case, Bob came up with a plan and I expect when he was young he played with Lincoln Logs because the pieces all went together just like he planned. 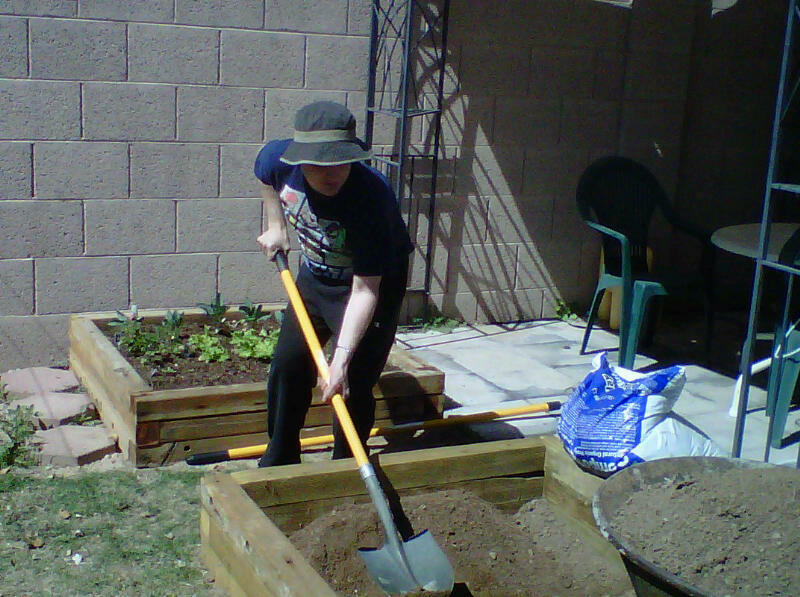 After the first box was finished we (meaning he) dug out the grass, leveled the ground and set it in place. I did help hold the weed barrier while he stapled it in place. 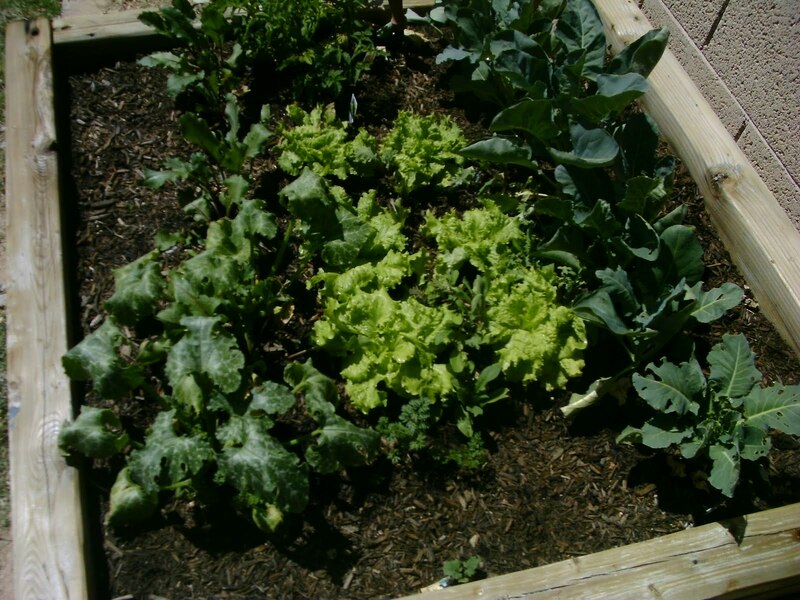 It was easy to then fill with dirt and mulch and add some vegetables. In fact, it turned out to be so good looking we decided to make a second box. But we were short wood to complete it. We talked about buying more redwood but the whole idea was to recycle and reuse. Then Bob checked out Home Depot. In their cut wood section were a whole stack of 4×4’s that had been 12ft but someone had them cut to 8ft. (Don’t ask me why, it didn’t make any sense to me either…) But the 4ft sections were exactly what he was looking for and were a whopping .50 each! Okay, so technically it maybe was not recycling but we were not letting them go to waste by using them. 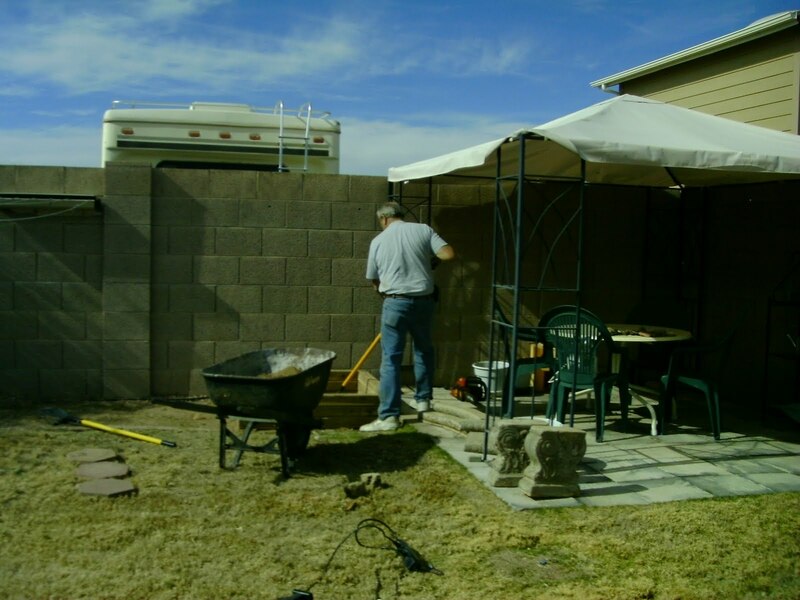 Keeping with my save the environment theme we found a guy close by who was changing his landscaping and getting rid of dirt. When it turned out to be too filled with grass we used it anyway to fill in some low spots in the lawn. Don’t ask me where we ended up getting our dirt. I can’t tell you…but it was recycled. I also discovered seeds from my last garden attempts (they were dated 1996!). The Swiss chard from back then is actually growing! The first box is filled with cauliflower, assorted leaf lettuce, carrots, and tomatoes. Box number two is Matthew’s favorite watermelons and cantaloupe plus garlic and green peppers. 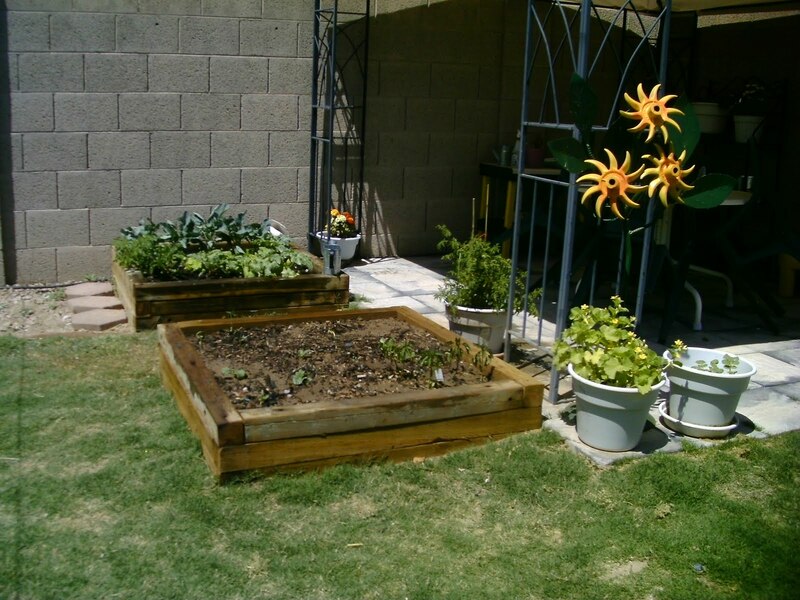 I think we were too early for Arizona summer gardening and too late for winter gardening but we have already had a number of salads, that included radishes, tomatoes and even beet greens. If you are not sure you’re up for a garden but have kids I really recommend throwing some radish seeds into a pot. In less than a month they are ready to eat and they are so pretty. Below you can see the final product. Not sure whether we will attempt to grow anything (other than the melons that are just peaking up through the dirt now) during the hot summer but as soon as it cools down we have a whole list of things to grow. My mom used to talk about the Victory Gardens grown during WWII. In our case, it might be more appropriate to say that it’s a Victory It’s a Garden! 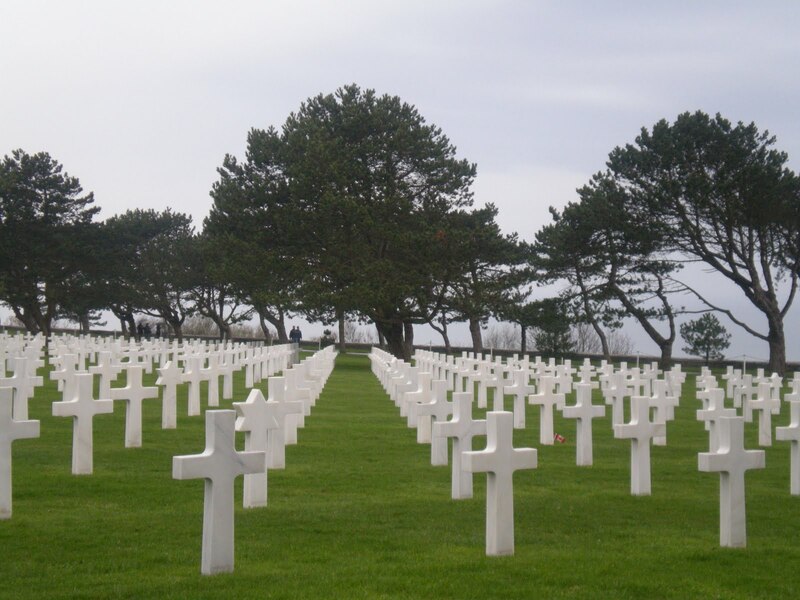 At the coast of Normandy we got caught up in the WWII history and spent extra time at the museum and beaches. We were reminded of all the history and mourned the loss of so many brave troops. By the time we were ready to leave it was already dusk. Bob stopped at a gas station but for some reason it wouldn’t take his VISA card.It was not a worry as we still had plenty of gas. Over the river and through the dale we went, following the map to the next town. By the time we got there it was dark so we decided to stop at the McDonald’s and see if someone could help with finding our hotel. Fortunately, a young gal working there spoke good English. She looked at the information and gave us some quick directions. “Just five minutes,” she said. “Up the hill, around the corner, center of town, etc.” Off we went. Up the hill, around the corner, center of town… No hotel. So we tried again, thinking we’d missed a turn. No hotel. (Mind you we had already discovered that hotels in Europe aren’t nearly as obvious as those in the US.) But, there we were in the center of town, Patton Square, and there was a pay phone. (Cell phones with international chips were not yet in vogue.) Unfortunately, the pay phone did not take money and I did not have whatever it took. What to do… Since we were in the center of town there was a small restaurant across the way. I went in to ask for more directions. Between my poor French and the guy’s poor English I thought we had it figured out. Straight down the road and around the corner. Again, we searched and again, no hotel. Around and around we went. And it got later and later. Suffice it to say it was pretty quiet in the car. Finally, enough nonsense and we went back down the hill to the McDonald’s. Even though it was now late that young girl was still working (no one else spoke English!) But more than the hotel at this point Bob was very worried about getting fuel for the car. We could keep searching if we had a full tank. Asked the girl where the closest gas station was, “Just down the road… 5 minutes,” she guaranteed us. We got back on the highway and I confess to being near tears. The kids were silent. After leaving the McDonald’s it was pitch black. We were most definitely in the country. The miles ticked by and it seemed like an eternity but… in 5 minutes there they were, lights of a town. And, what was that on the left? It looked like the sign for a Holiday Inn. Big, neon green and oval. It looked like a hotel. And look, across the street a grocery store and gas station. We pulled in to the parking lot exhausted. There was an automated pay machine and we were able to choose a family room that would have enough beds for all. It didn’t matter, we would have slept on the floor at that point. The other hotel, now far from our minds we quickly settled in to sleep. The next morning Bob got up and ran across the street to fill up the car. 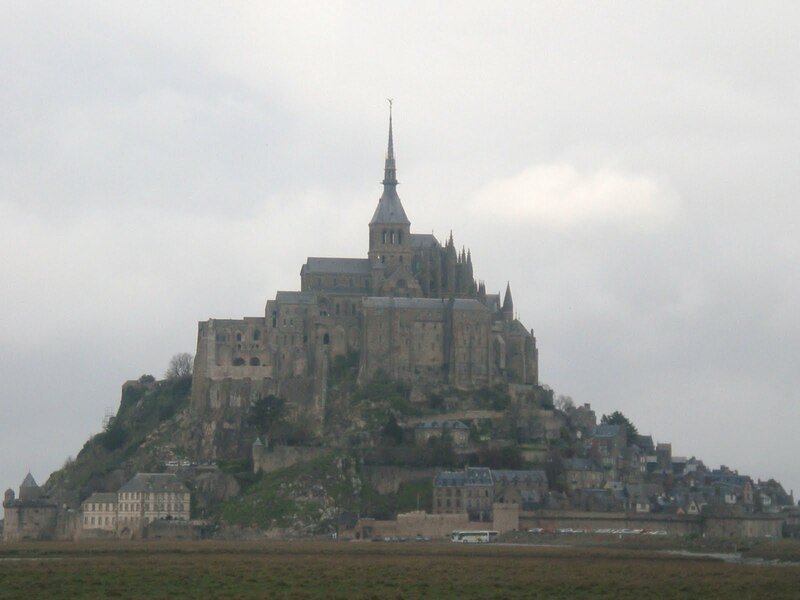 We were headed to Mont St. Michel, an island abbey, in the bay. But he was back too quickly. The darn credit card didn’t work and the gas station was closed. Bob had stopped and tried to talk to the clerk in the lobby but only found out that it was Sunday. So we both went back to the lobby. The clerk said, “I already told you. C’est dimanche! (It’s Sunday!) Quelle dommage! (Too bad). The stores aren’t open. This is France!” (The guy said some other stuff… I think he said we were stupid Americans but it didn’t matter… Sunday was Sunday.) So we talked about our options. We could stay at the hotel and twiddle our thumbs all day. (I had packed enough snacks that we would get by.) Or, we could test my French further and try to find someone who could help us. There were a number of people eating breakfast in the dining area. For whatever reason I focused on a young man with his daughter. To our good fortune, he spoke English but not only that he misunderstood our question and got his wallet out to give us gas money. After we explained about the credit card he understood and then explained to us, that because our card was not from France many automated machines would not take it. The card had to be okayed by the operator. He was from Ireland and had a credit card but was not sure whether it would work. Still, he offered to go with Bob back over to the gas station and left his daughter with me. My guess is Bob and I are not very scary looking people but still, what faith in humanity. In a few minutes they were back with a full tank of gas. Bob gave him cash and our everlasting thanks then we rejoined the kids to give them the good news. Our day was going to be great! In a few minutes we were packed up headed for the abbey. It is a unique tourist spot with lots of tiny shops. One of the shops advertised galettes which are a French crepe often made with buckwheat flour instead of wheat. Sure enough their’s was naturally gluten free which, of course, thrilled Matthew. After eating we stepped outside just in time to see people lining the tiny narrow street. It was Palm Sunday and the church goers were in a processional headed up to the abbey for services. 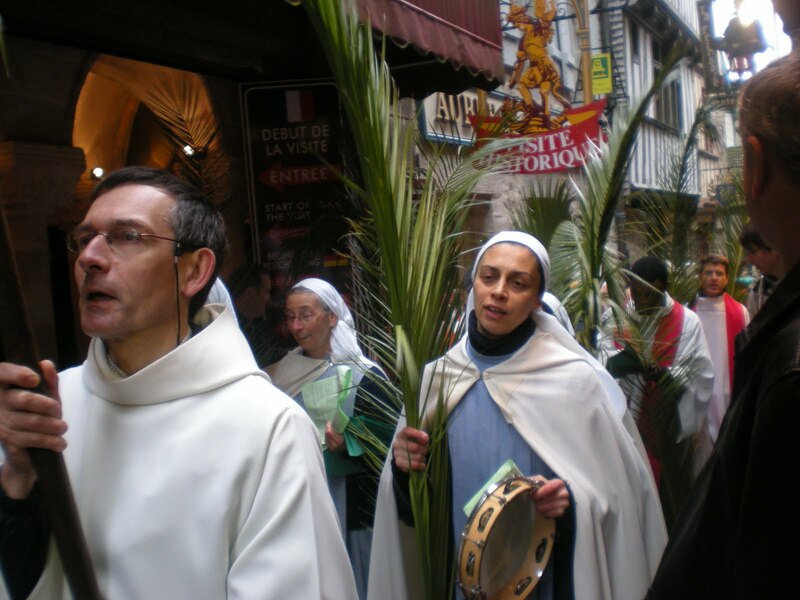 They carried palm fronds and we were handed copies of the processional hymns they were singing. What a chance for us to stop and reflect on the Lord’s Providence. Had we not gone through all the ordeal we probably would not have been there for the service. It was a great opportunity to stop and thank God, not only for watching over us but for sending His Son to save us. We learned a few things and the rest of the trip were smarter. Kept the gas tank full and located the hotels before dark. Good thing because when I printed directions to the hotel in Lucerne, I mistakenly printed directions to the center of the city instead… Sprechen sie Deutsch?? ?